My mom and I had planned a weekend trip just to have fun, relax and celebrate our beloved man in life. I wasn't into a long holiday mood just yet since my mom was just being discharged from the hospital few days before the weekend. But this is the only weekend that we can spend time, relax and enjoy eating before the month of Ramadan. Mom suggested that we go to Bukit Tinggi in Pahang for 2D/1N. 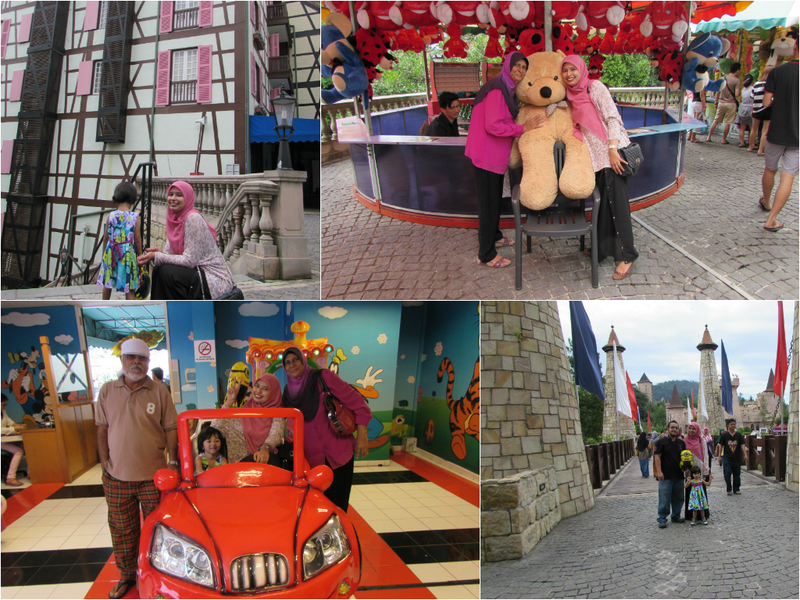 Well, I've never been to Bukit Tinggi, and mind you, we did a last minute hotel booking a day before.You can tell me how jam packed it was on the day we checked in the hotel. Sigh! 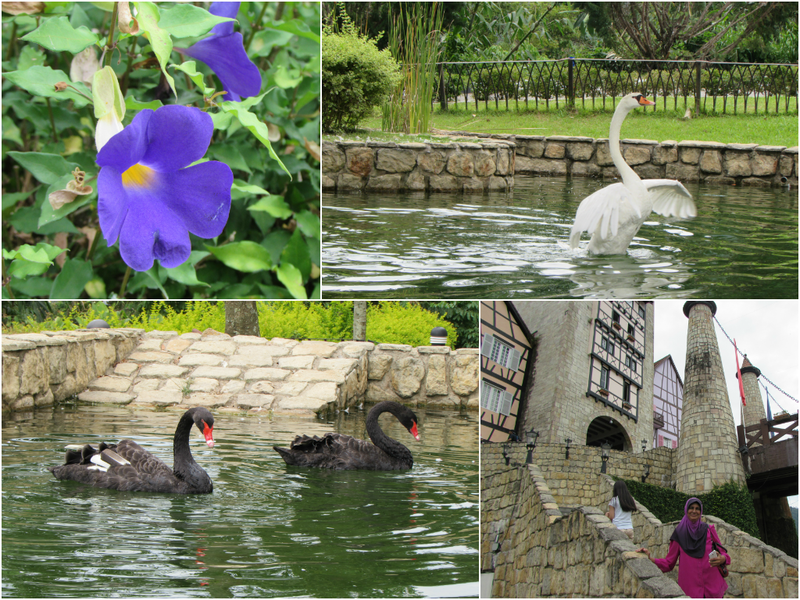 The French theme hotel- Colmare Tropical Berjaya Hills, Bukit Tinggi.I was quite impressive that they actually maintain this place well. 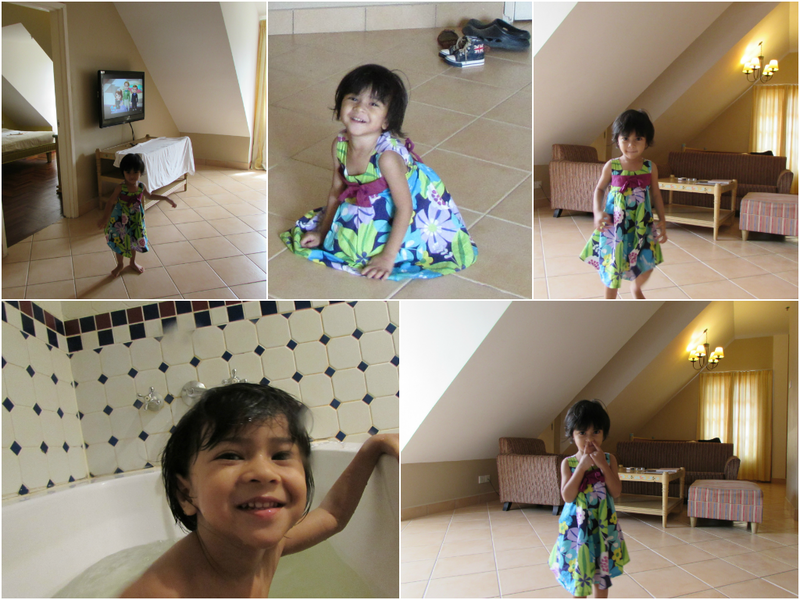 And look who's the happy girl when we got to check in the hotel room. It was very spacious that my lil princess can ran around here and there as if we're home.Cozy place! We then proceeded to our lunch before went for sightseeing around the hotel. This girl has many things to share with us during the meal. You can see from her expression..priceless! Although we've climb so high, yet we do not feel any cold or breeze at all. I already told my mom to packed her sweater. Dude, it was hot as if we're in KL! Well, there's nothing much we can do at night. Hubby choose to watch the stage performance with Aulia', while my dad went straight to his room after we had dinner. Mom and I went for foot reflexology which we enjoy it so much. The next morning, we went to the Japanese Village. You need to walk quite a distance before you can reach to the village.Lucky I didn't wear heels that day or else my feet will be majorly damage.Teehee! Seriously, it took us a lot of effort to reach there! This Japanese Village is dubbed as the world's only Japanese Village in a tropical rain forest, marking the uniqueness of the place and worth to visit. Not far from the Japanese Garden, there was a Botanical Garden. It's divided into different area in which accessible by staircase along the route. One have to climb down and up in order to view and explore entire garden at once. We did it without much problem, easier than hiking. 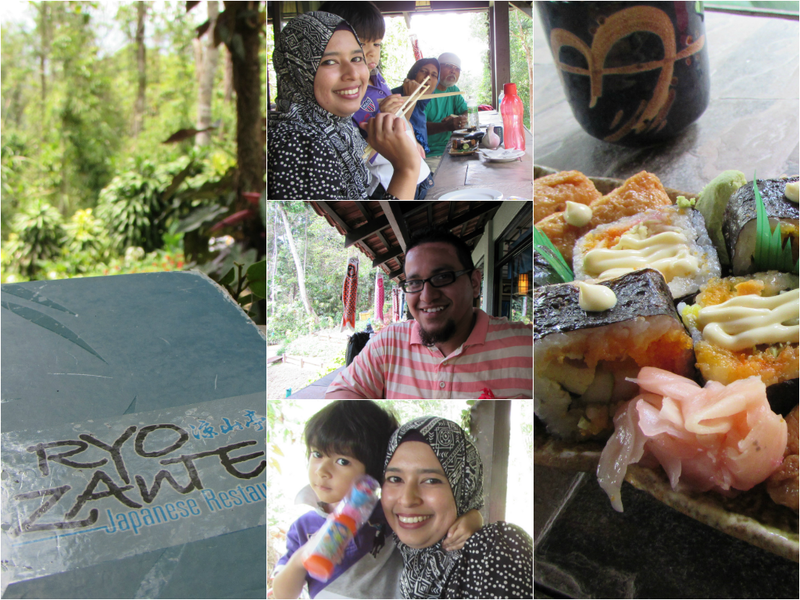 My dad and I are a fan of sushi and we took this opportunity to have a brunch at the Japanese restaurant called Ryo Zantei which located inside the Botanical Garden. We can viewed the Botanical Garden scenery from the restaurant and it was so refreshing when you're surrounded by trees and flowers. Before we head home, we brought Aulia' to the Rabbit Farm which along the way back to Colmare Tropical entrance. Entrance fees are RM3 per head to get in, which is very cheap indeed. Beside rabbits, they do have other animals such as reindeer, peacock, guinea pigs and donkey. 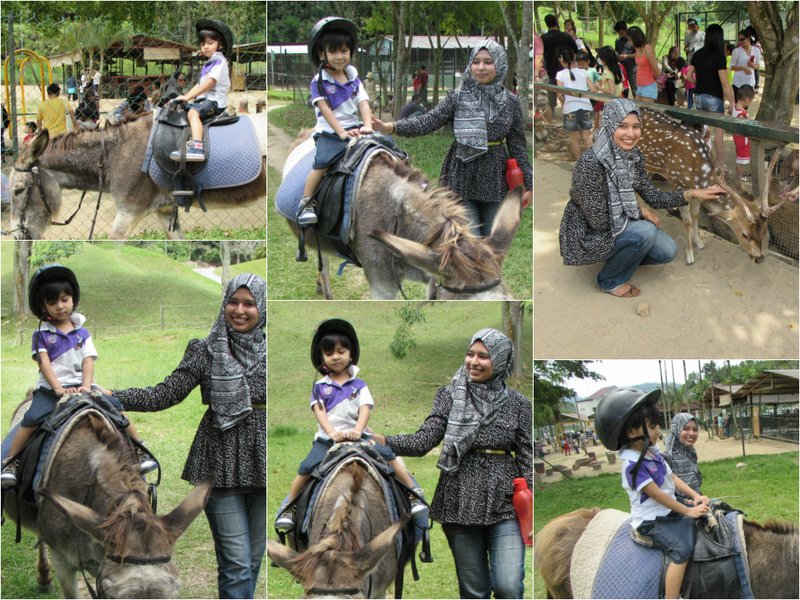 There was where our proud moment when Aulia' requested to ride the donkey. We hesitate at first but since she insisted to ride on it and said she's not scared at all, we allowed her to ride the Donkey. So, this is her first Donkey ride and my husband was so excited he wanted to record the moment. We spent some time here, taking pictures and there was also a small playground next to it, as well as a small petting zoo. The playground was also well maintained and clean with nice grassy area. Nice play to visit here especially for children they can learn about animals.